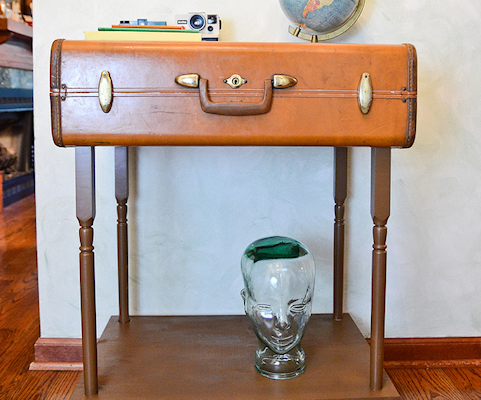 I love how this old Craigslist desk was given new life at Kreative Knack. 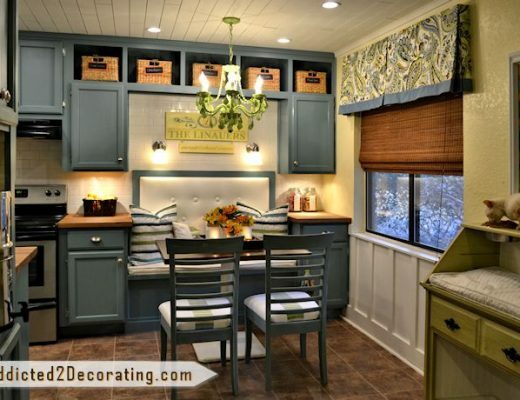 A coat of paint just makes everything better, and the wallpaper on the drawer fronts really takes this desk up a notch, doesn it? I found your blog last night when searching for information on liquid sandpaper. I fell asleep reading your blog on my phone and have been reading posts all day today. We bought our home in 2005 and have decided it’s time to truly make it ours. Of course, my husband was thrilled to finally have an excuse to buy the Bosch table saw and miter saw and I’m not sure what else he’s brought home. We purchased click and lock wood flooring and are starting in our bedroom. 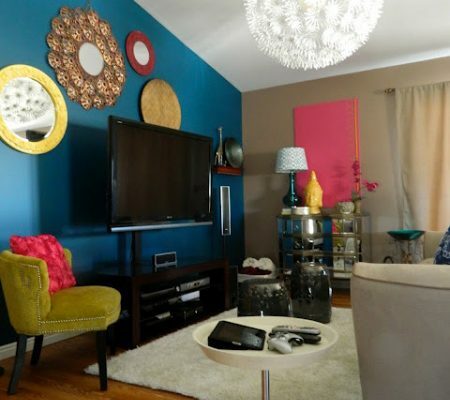 We are replacing the mustard gold walls with Glidden’s “Barely Jade”, a pale bluish-green color. Our furniture is dark wood and I plan on going with all white linens. Hubby is going to fill the front wall with build-in bookcases and a window seat. We’ve been married for 22 years and have never bought a bed. We have a mattress set on the metal frame with no headboard, not a far cry from your mattress set on the floor. This year, we are buying the bed as the finishing touch to our new master retreat! I’m already filling Pinterest boards with ideas for my master bathroom and the rest of the rooms in my house. Your blog has inspired me to rejuvenate my own blog, which sadly hasn’t had a new post since November 2010. You are living the life that so many of us dream of. You probably aren’t getting rich but you’re getting creative fulfillment – something that so many of us in the corporate world crave. I will continue following your blog and living vicariously through you. I can’t wait to see what adventures lie ahead!